​N'Golo Kante has joined Chelsea on a long term deal from Premier League Champions Leicester City, according to club’s official website. Chelsea have announced the signing of N'Golo Kante from Leicester City for a fee around £32million, according to reports. The Frenchman who had a sensational debut season last term at the King Power Stadium has left the Champions League club. Blues new boss Antonio Conte has made him the second summer signing, first was Michy Batshuayi. The 25-year-old has signed a five year deal for the club which are not the part of European Campaign in the coming season. Foxes boss Claudio Ranieri who signed him for only £5.6million last summer has made a 500 percent profit on his sale. Kante told Chelsea official website that he is very happy, it was his dream to play for Chelsea. 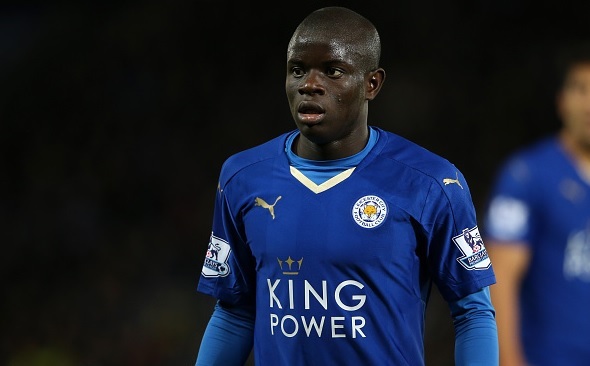 Despite of Chelsea’s failure to qualify for the Champions League last season Kante is happy to pen a long term deal. Ranieri has already signed Kante’s replacement Nampalys Mendy from Lens for £13million few weeks ago. While, this move could give some boost to other Foxes players like Riyad Mahrez who is also likely to follow Kante.